Please report any errors to ryan.richards@ani-mayhem.com. The Quick Rules given out at GenCon '96. 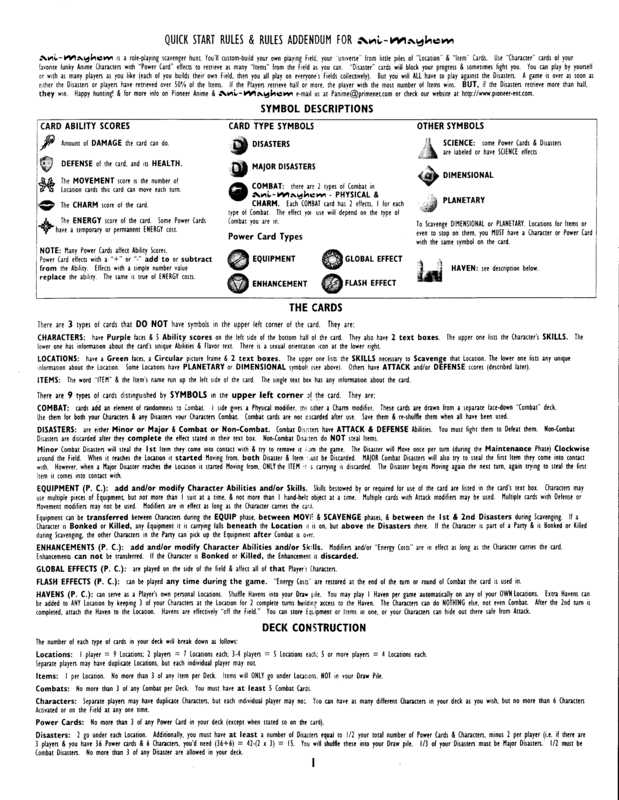 GenCon '96 Quick Rules, HTML. Quick Rules scans: page 1, page 2, page 3, page 4. The 1996 Set Zero rules. July 1996 rules, HTML. The Set One Rules Addendum. 1996 rules addendum, HTML. The 1997 Set Zero rules. March 1997 rules, HTML. 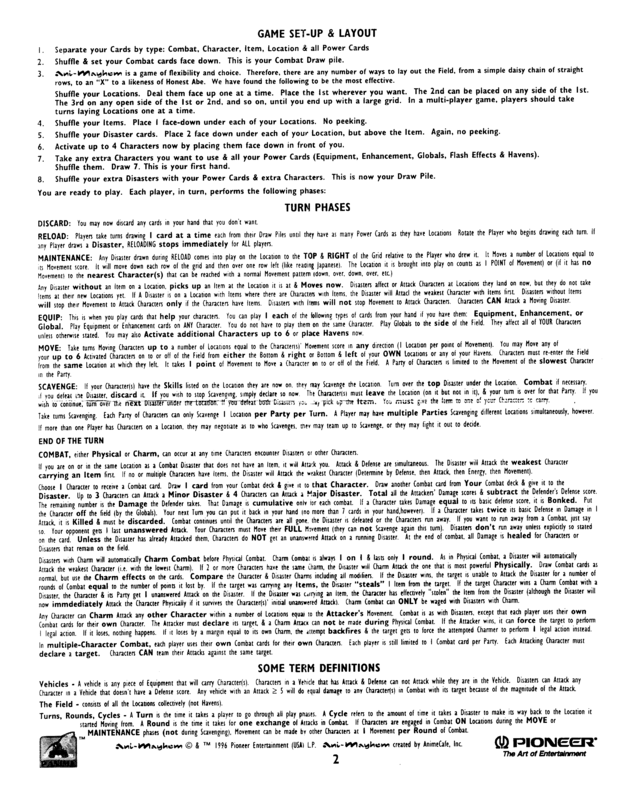 The 1997 Set Two rules. August 1997 rules, HTML. The 1998 Rules Guidelines. 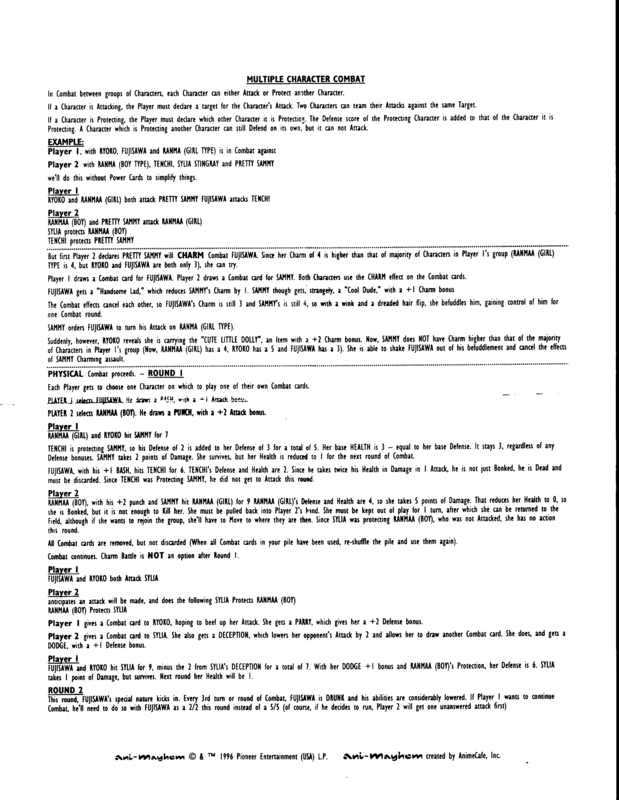 June 1998 guidelines, HTML. June 1998 guidelines, Text. 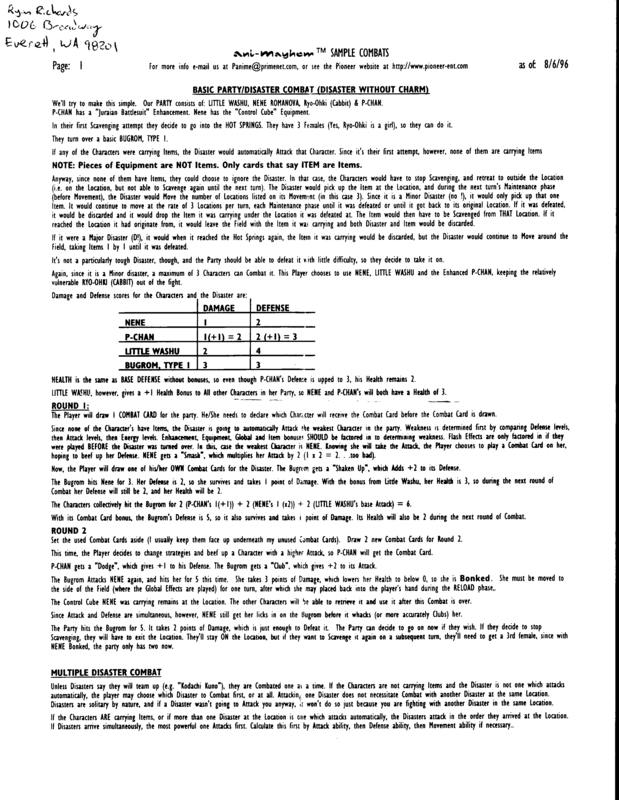 The 1998 Errata. June 1998 errata, HTML. June 1998 errata, Text. Ani-Mayhem 2010, Fifth Edition Rules.